West Control Solutions presents the CAL9500P, a uniquely versatile and affordable programmable controller for temperature and process control applications. 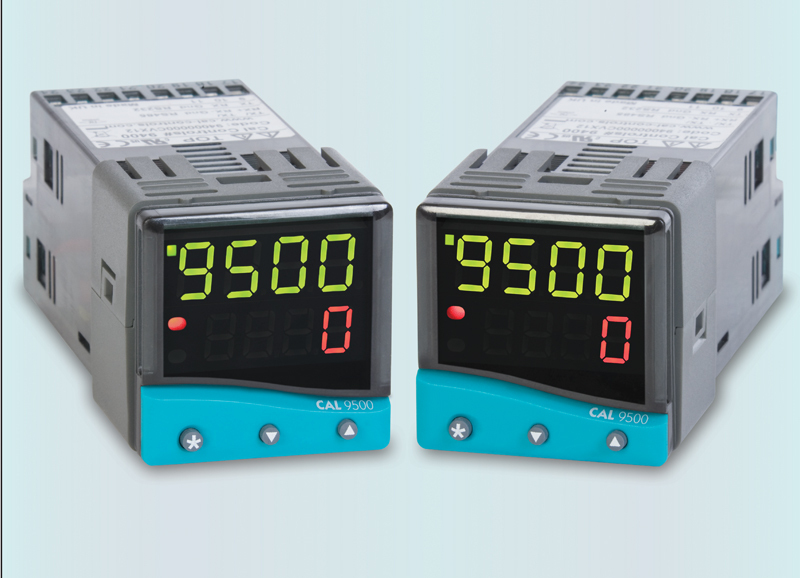 The CAL 9500P is compatible with CALGrafix software which enables data logging, process data archiving, chart recording, virtual instrument display and on screen alarms so you can monitor and control your equipment from any computer connected to your process network. Profiles can be created easily on both the front panel and via CALgrafix software. The step-by-step HMI structure, for intuitive configuration of the controller, allows memory to be freely allocated for programs up to 126 segments or up to 64 programs. The CAL9500P integrated auto tune makes PID control simple and efficient, while the unique dAC function minimises overshoot problems associated with conventional PID controllers giving you greater temperature control. The product incorporates a wide range of features including 2 x 4 digit LED display with 2 output LEDs, easy-to-use auto-tuning, simple menu-driven configuration, and IP66 protection to prevent water and dust ingress. West Control Solutions is a global specialist in process and temperature control. The company offers a comprehensive range of innovative products for process control and automation through its four leading brands: CAL, Partlow, PMA and West. These brands have now been providing solutions for Plastics, Ovens and Furnaces, Packaging, Food and Beverage, Laboratories and beyond for almost a century. The company headquarters is based in the UK with offices worldwide. Products are sold either directly from West Control Solutions or via a global network of distributors. West Control Solutions is part of the Danaher Corporation; a Fortune 500 Company with subsidiaries in over 40 countries.